These long chains of ad-hoc hypotheses will eventually reach ad-hoc hypotheses that are unfalsifiable but regarded as true anyway. Usually, these terminal ad-hoc hypotheses are in the form of conspiracy theories, religious beliefs, unconvincing evidence, or logical fallacies. A theory has falsifiability if there’s a possibility of showing it to be false. Falsifiability is how we distinguish the scientific and the unscientific. The practice of declaring an unfalsifiable theory to be scientifically correct is pseudoscience, which includes the flat-Earth theory. An ad-hoc hypothesis is not necessarily false. Back then, Einstein invented the cosmological constant to be included in the Theory of General Relativity. It was only a small change but made everything in the theory consistent. After several decades, now we know that the constant is related to the theory of dark energy. 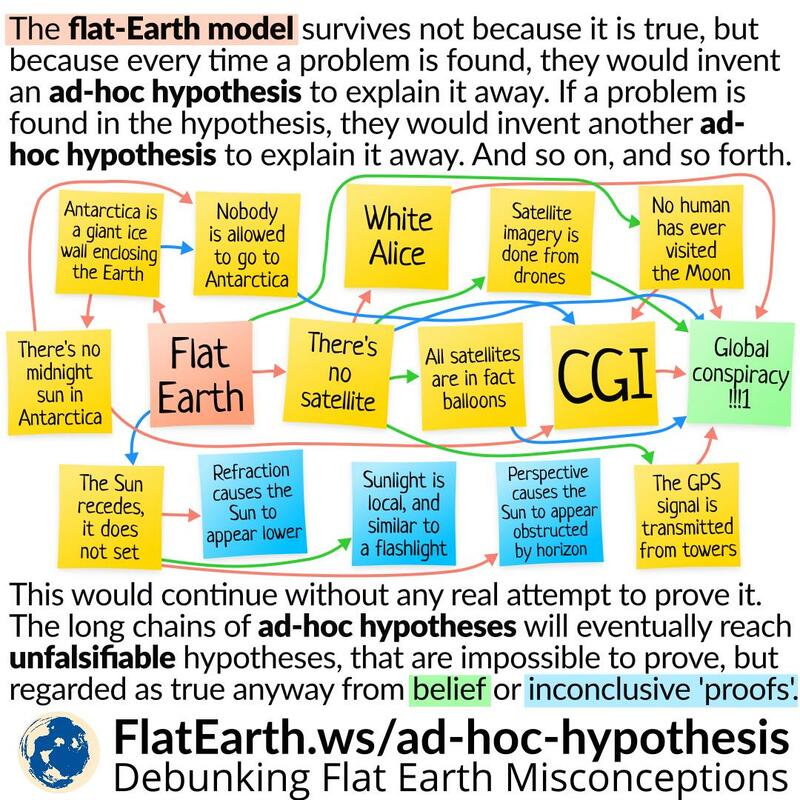 The problem with the flat-Earth model is not the use of ad-hoc hypotheses, but because they would create an ad-hoc hypothesis every time a discrepancy from real-world observation is found. They would not even attempt to prove it. Rather than making the actual experiment or observation, they will be happy to invent just another ad-hoc hypothesis. The first rule of the flat-Earth club is that the Earth is flat. They think it is sacred and would do anything to save it from being falsified, including by inventing multiple, incompatible, and unproven ad-hoc hypotheses. If the flat-Earth model has such amount of ad-hoc hypotheses, maybe the real problem is with the model itself. 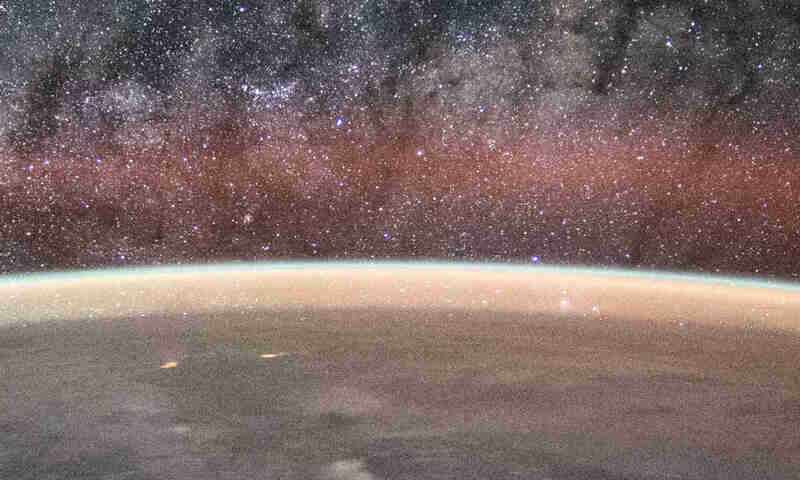 Another model —the spherical Earth model— can explain everything elegantly and consistently, without having to defend it by inventing multiple ad-hoc hypotheses.